I tried this Maison Martin Margiela goat hair bolero jacket months ago at Barneys in NY and I’ve dreamed about it since, although it reminds me of my Celine shearling cropped jacket. 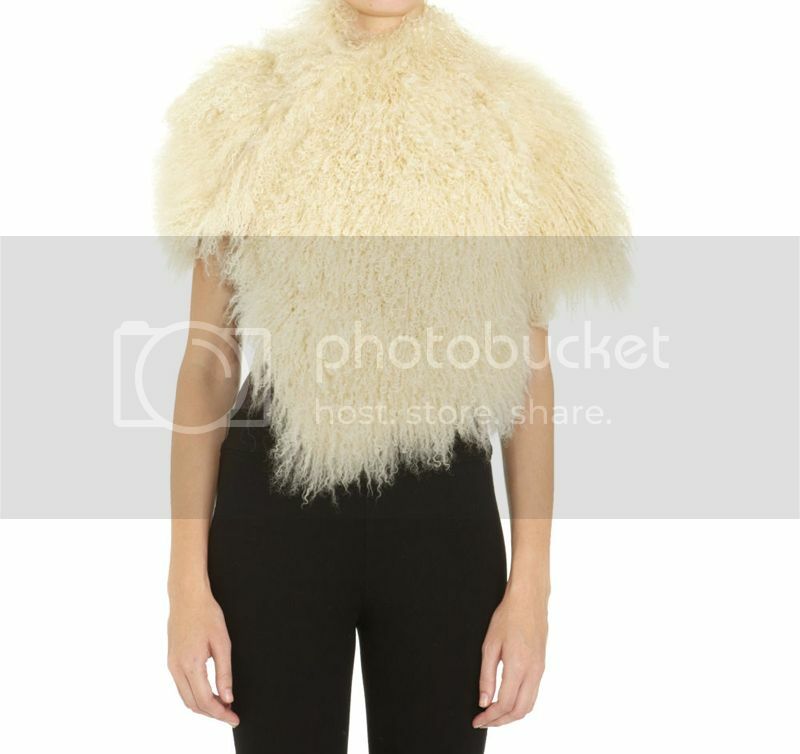 I’d like to style it with a black Helmut Lang top, and AG Adriano Goldschmied faux leather leggings. And these McQueen boots will compliment the look. Also, the pink McQueen clutch and this hot pink La Mer Collection wrap watch are fun items to complete the look. This outfit is chic, edgy, stylish, and an especially great deal to buy now because they are on sale. PS: Don’t forget to send me your photos of your looks by January 26th to ENTER to WIN Fashion Blog World’s Inspiration contest giveaway gift $175. Good luck to you all!! I love your Celine shearling cropped jacket! Will we be seeing more of it soon? Happy Saturday, Hanh! definitely getting the h.lang top! thankssss! Im new to Blogging im not sure if im doing a good job on it or not but i love reading yours and most definetly love your style and good taste. Always enjoy seeing your picture and reading your stories.